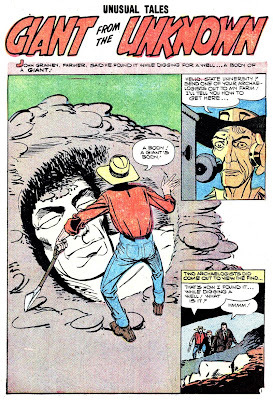 "Giant From The Unknown" is a 7-page story that first appeared in Charlton's UNUSUAL TALES #14 . 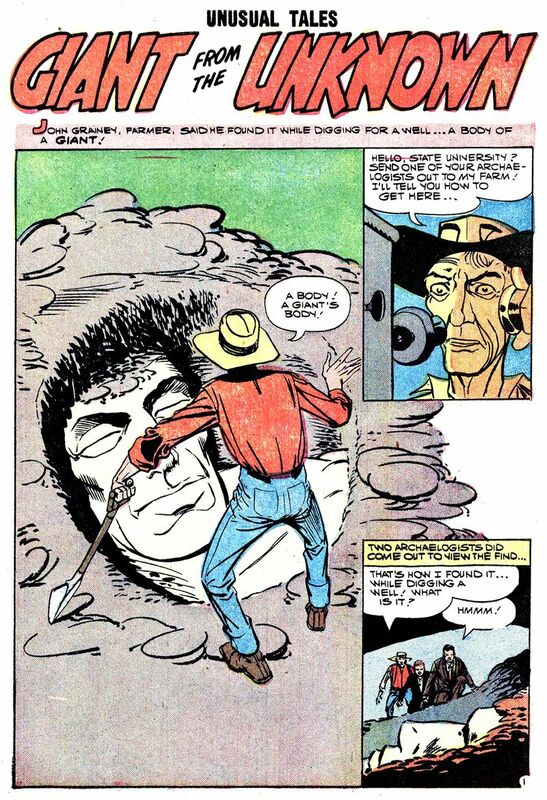 In this tale, a farmer finds what appears to be the body of a giant when digging for a well. 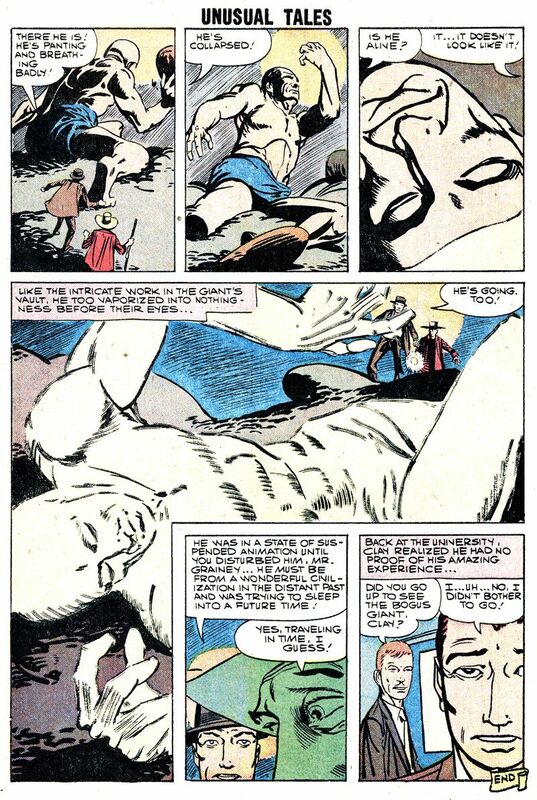 The first scientists to show up, being aware of the history of the Cardiff Giant, are dismissive of the discovery, but later another curious anthropologist shows up. 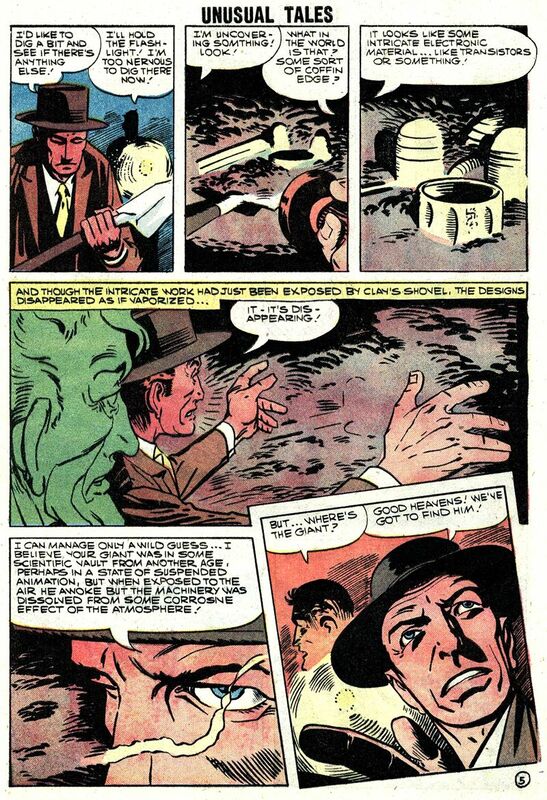 Decent little story, especially some of the odd angles used to spice up the storytelling. 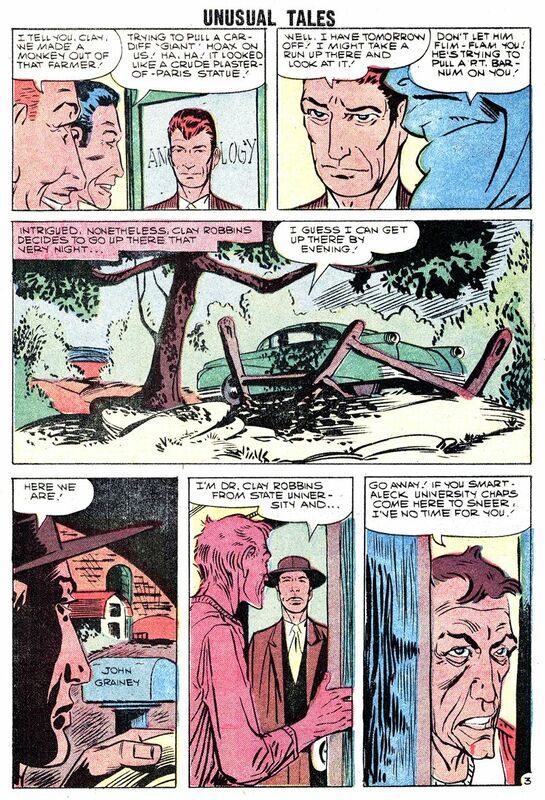 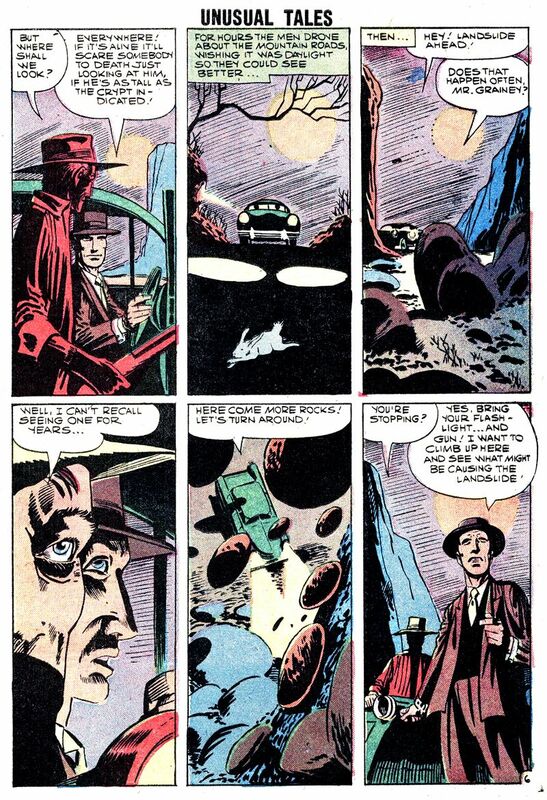 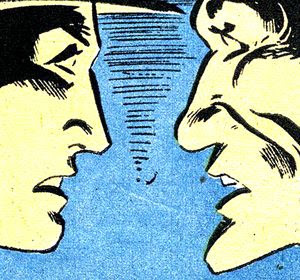 That oddly askew panel on the bottom of page 5 is kind of interesting, not something Ditko used often in the period. 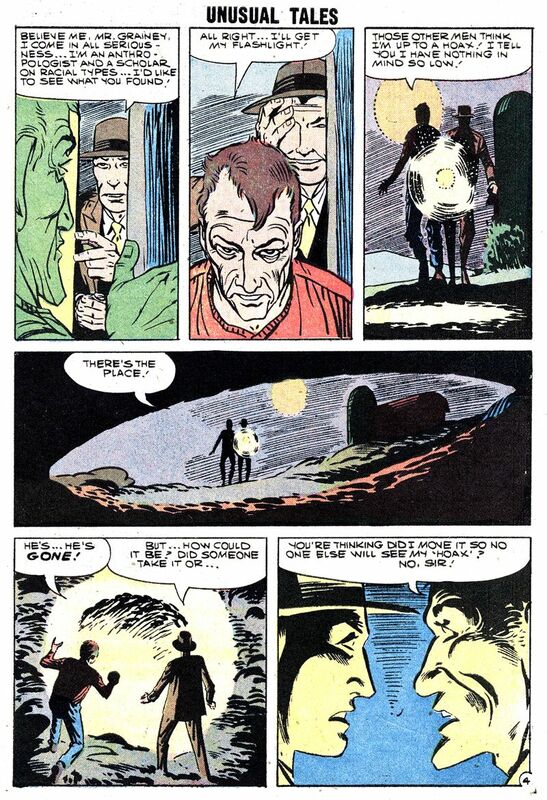 Reprinted in Monster Hunters #14. 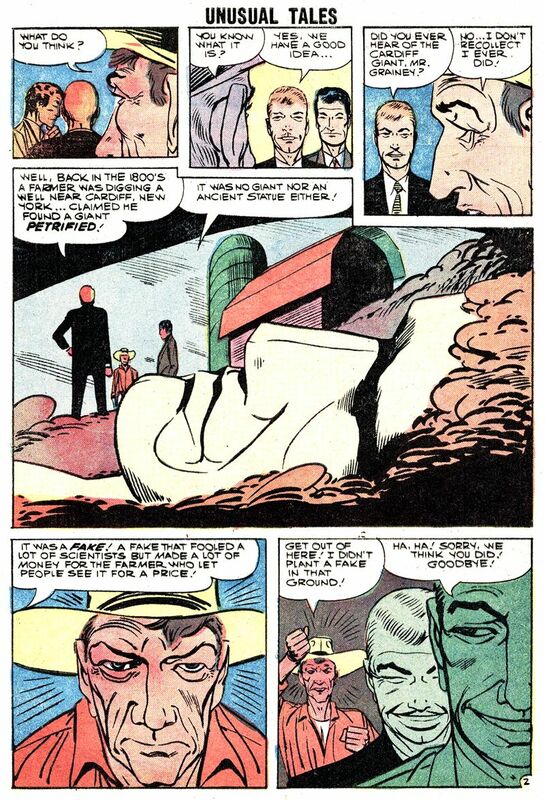 And I'm sure elsewhere as well.